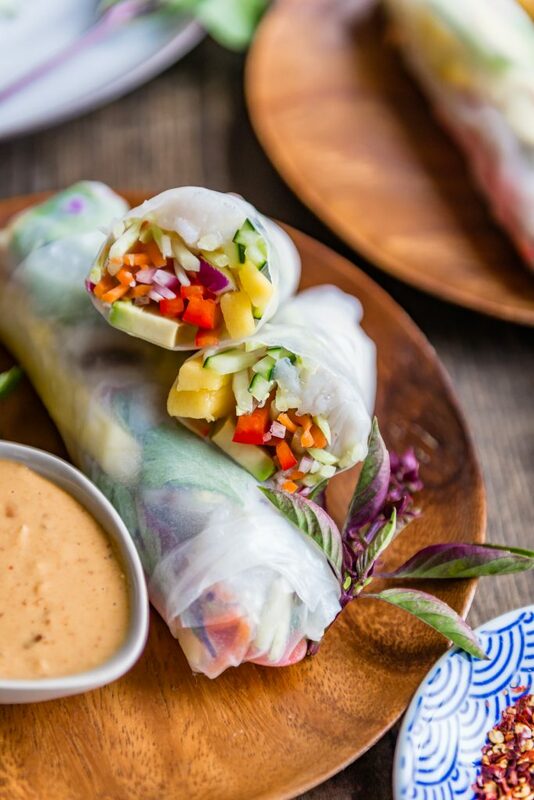 These Barramundi Rice Rolls with Coconut Peanut Curry Sauce are full of fresh flavor and texture thanks to citrus-marinated cubes of barramundi and thinly sliced veggies, avocado, and mango. 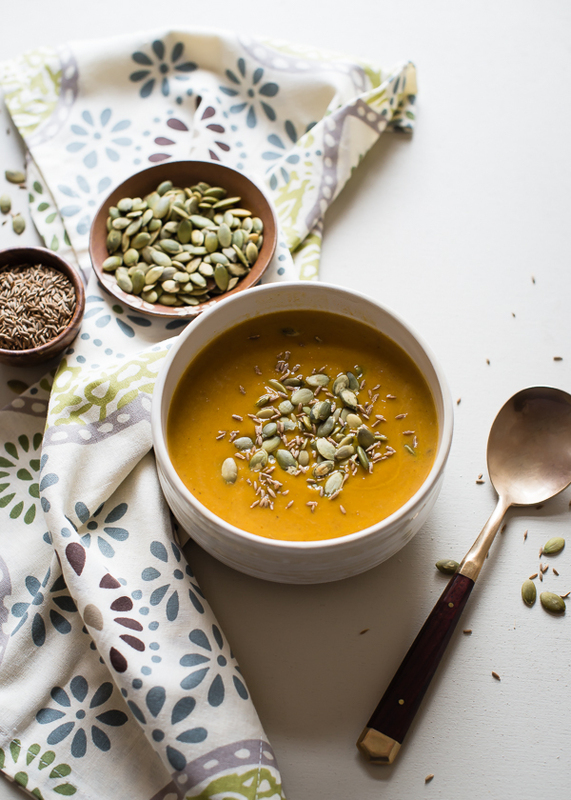 Perfect for dipping in spicy Coconut Peanut Curry Sauce! This post is sponsored by Australis Barramundi. 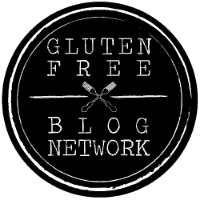 Thank you for supporting the brands we love and use in our kitchen. Barramundi, our favorite sustainable white fish, goes so well with just about every cuisine, but especially Asian flavors. 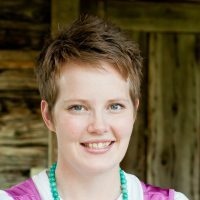 I know that encompasses a lot of territory, cultures, and ingredients. 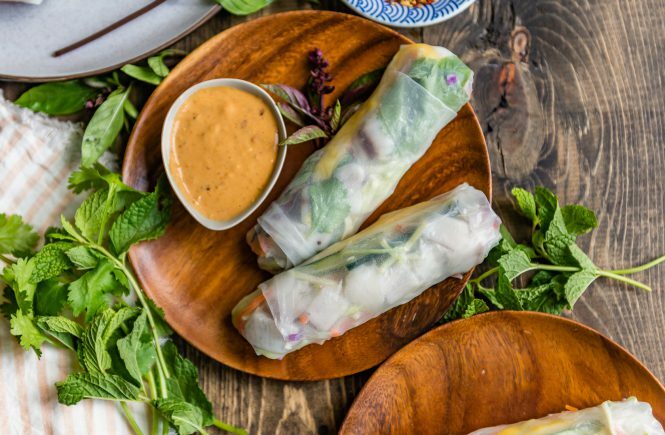 These rice rolls focus on Thai or Southeast Asian flavors and have plenty of fresh crunch, just like a good rice roll should have. For more recipe ideas, follow along on social media #TheBetterFish and #BarraMonday, and follow @TheBetterFish on Instagram and Twitter. Barramundi is a white fish native to Australia and Southeast Asia. Australis Barramundi, also called “The Sustainable Seabass®,” is climate-smart ocean farmed in Southeast Pacific waters. Due to overfishing, other species of fish are not sustainable to consume, such as seabass, grouper, snapper, and halibut. It’s important that we as consumers are aware of this and only purchase fish that is being properly farmed or harvested. Australis Barramundi is 100% traceable, so you know exactly where it came from. Wild-caught barramundi are red listed, but Australis is listed as “Best Choice” according to the Monterey Bay Aquarium SeafoodWatch®. Consuming fish at least two times a week is recommended by experts as part of a healthy diet rich in heart-healthy omega-3 fatty acids. 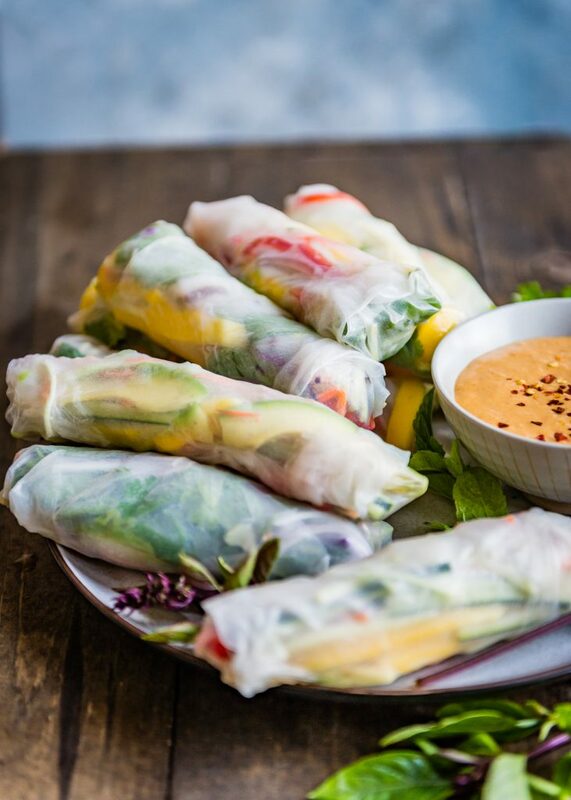 These rice rolls are a great way to add fish into your week. Previously I’ve shared recipes for Spanish-Style Baked Barramundi, Pan-Seared Barramundi Rice Bowls, Thai Coconut Soup, and Quick-Broiled Barramundi with Puttanesca Sauce. 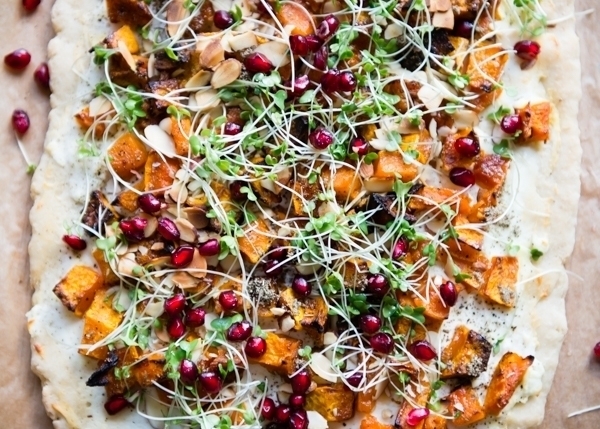 Barramundi is extremely versatile! I am able to buy Australis Barramundi at my local Whole Foods in the frozen seafood section. You’ll find barramundi in the freezer section of these stores, on QVC, and in BlueApron meal kits. The barramundi is flash frozen shortly after harvesting for the best texture and flavor. Each 12-ounce package contains individually packaged, vacuum-sealed boneless, skinless filets. 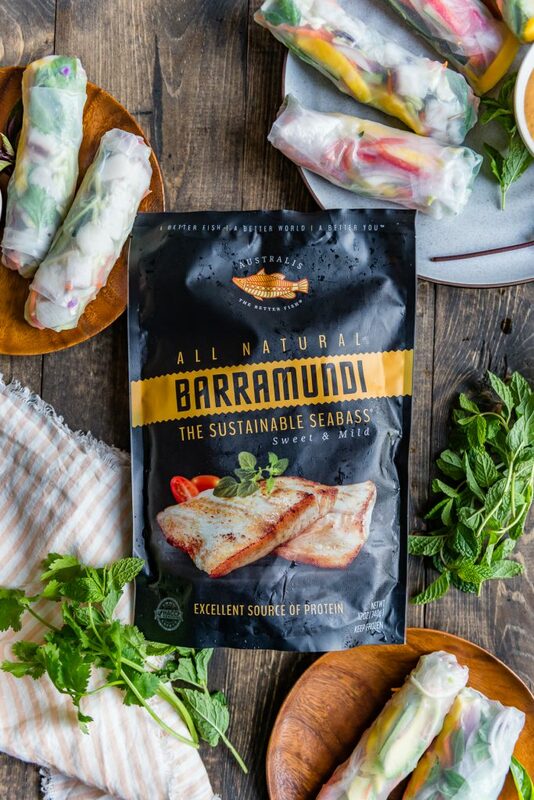 Australis Barramundi is the highest quality barramundi you can buy. It’s flash frozen, and therefore extra fresh, and is graded for use in sushi. 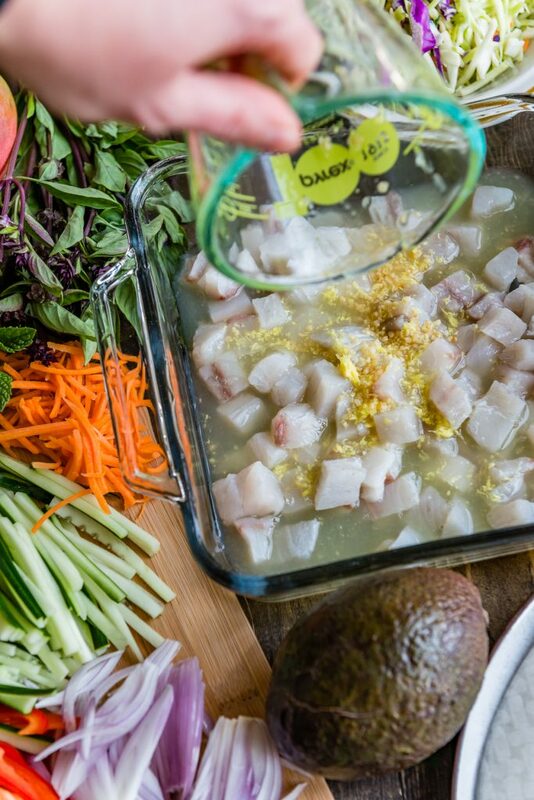 In this recipe the fish is thawed, cubed, and marinated in fresh citrus juice – similar to ceviche. 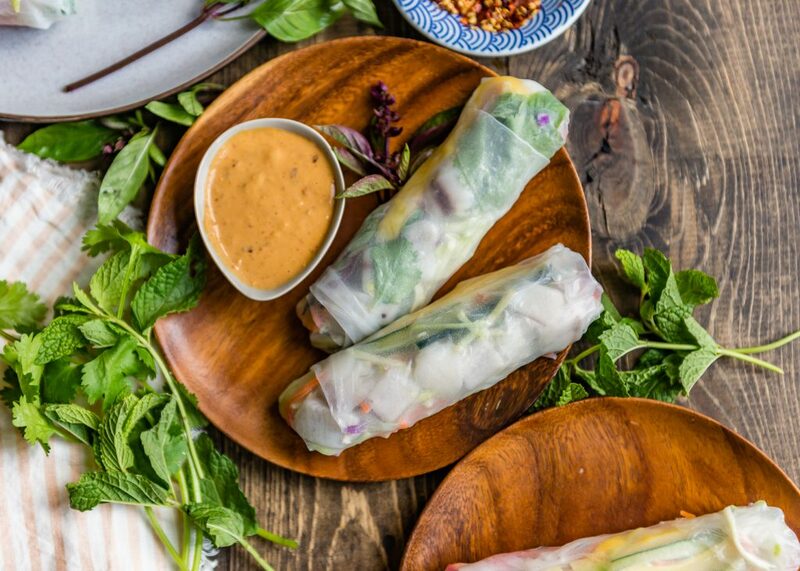 Rice rolls make a great appetizer or a light meal, especially with the addition of the barramundi. I like to add fresh ginger and garlic to the lime juice for an extra punch. 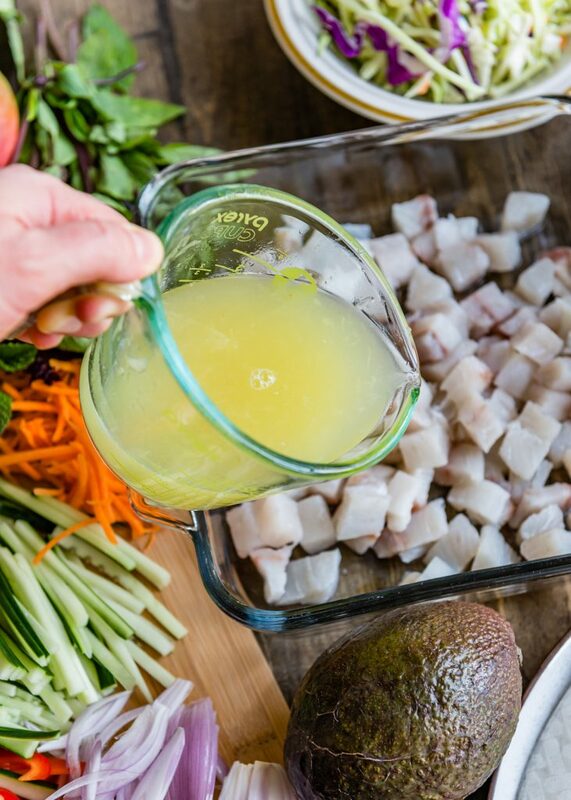 The citrus juice “cooks” the fish as it marinates. 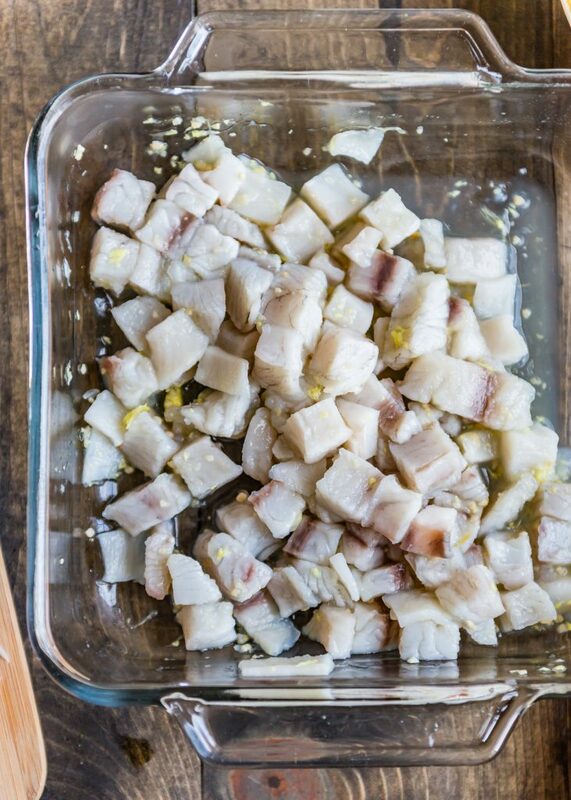 Although the fish is still technically raw, the texture and color change so that it looks and tastes more like cooked fish. The key to a really good rice roll, besides the obvious fillings (and sauce!) is working quickly. Yes, the rice papers are forgiving, but if they sit for too long, they can stick to the work surface and become a little more tricky to work with. So working one at a time is the best way. Have all of the filling ingredients ready to go and right by your work surface so the process can go quickly and smoothly. I dip the papers into warm water and remove them when the paper is still a little stiff. It will continue softening as it sits. If the papers soak for too long, they will stick to themselves and be practically impossible to flatten out without tearing. The wrapping step is very easy. It’s like making a burrito. Or maybe burritos are like wrapping rice rolls. I wonder which came first – ha! 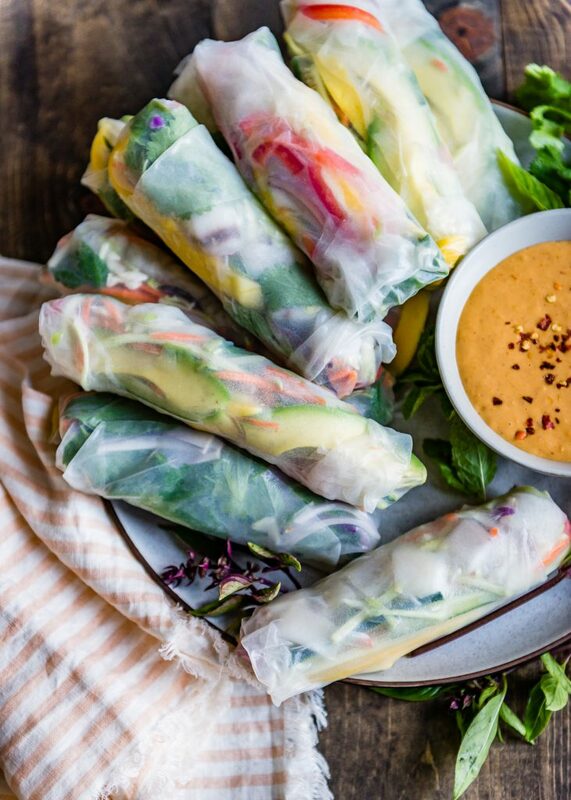 In any case, wrapping them tightly helps keep the yummy filling from spilling out all over when you bite into them. 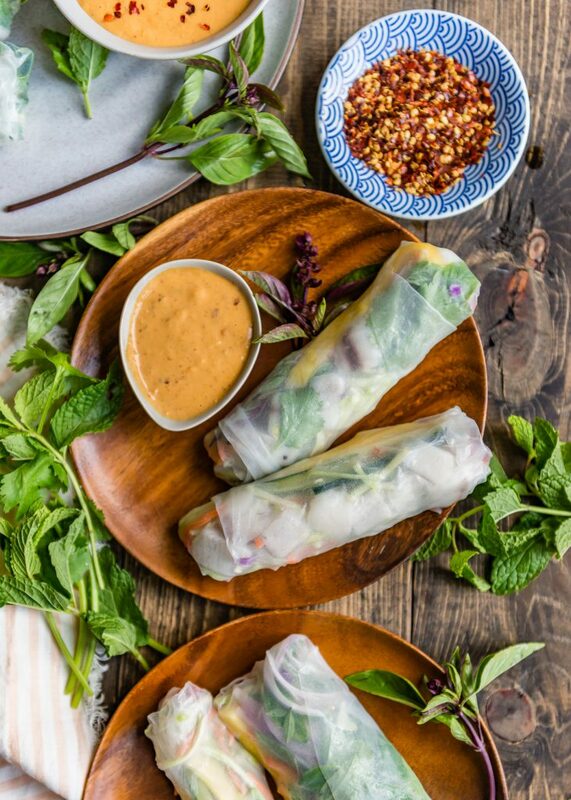 Rice rolls must have a dipping sauce. Must! I tend to go for anything spicy. Lately I’ve been really partial to coconut peanut curry anything. 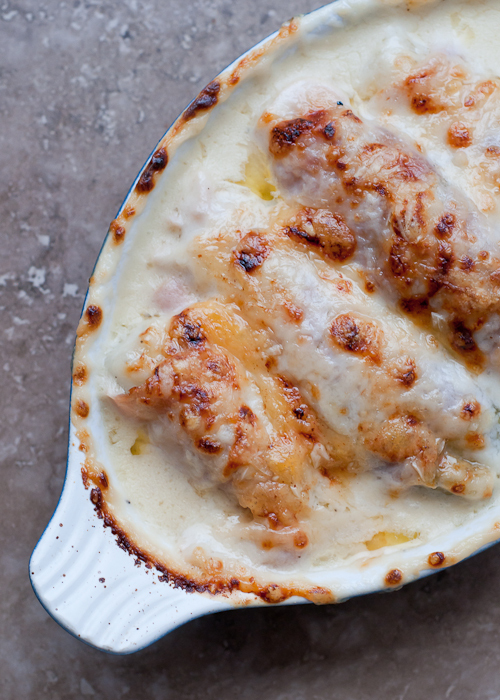 I couldn’t think of a better companion to these Barramundi Rice Rolls than this dip. 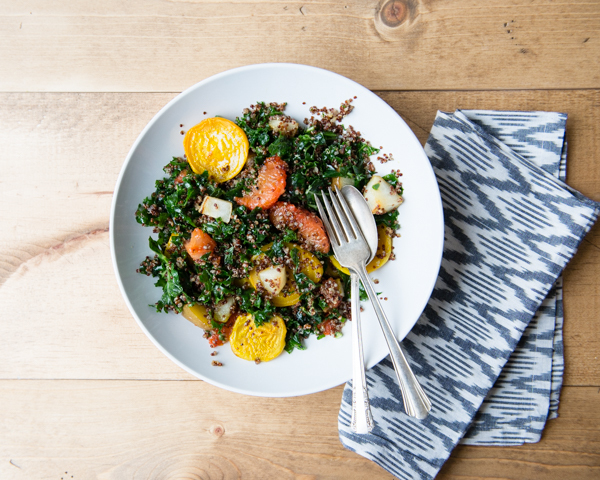 It’s so good you’ll be licking the bowl clean! The flavors here, as I’ve said, are so, so fresh and clean tasting. Using high quality ingredients, including Australis Barramundi, will certainly yield the best results. 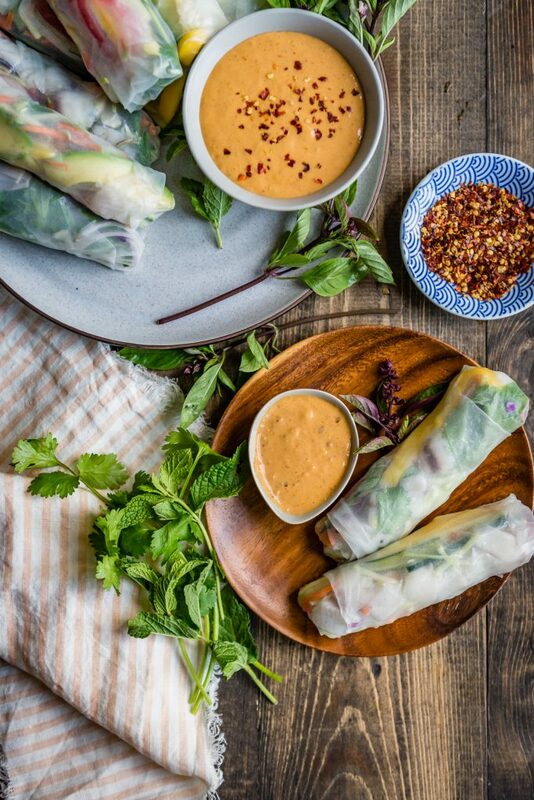 Barramundi Rice Rolls with Coconut Peanut Curry Sauce Thinly sliced raw veggies, avocado, mango, and citrus-marinated raw barramundi make up the filling of these amazingly fresh rice rolls. 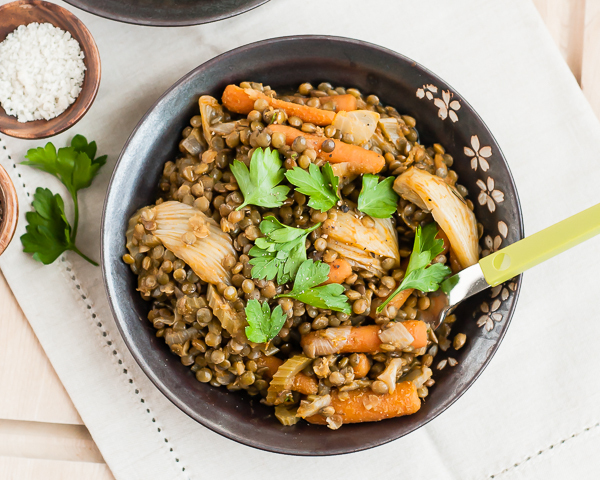 Serve them as an appetizer or lunch with the spicy coconut peanut curry sauce. 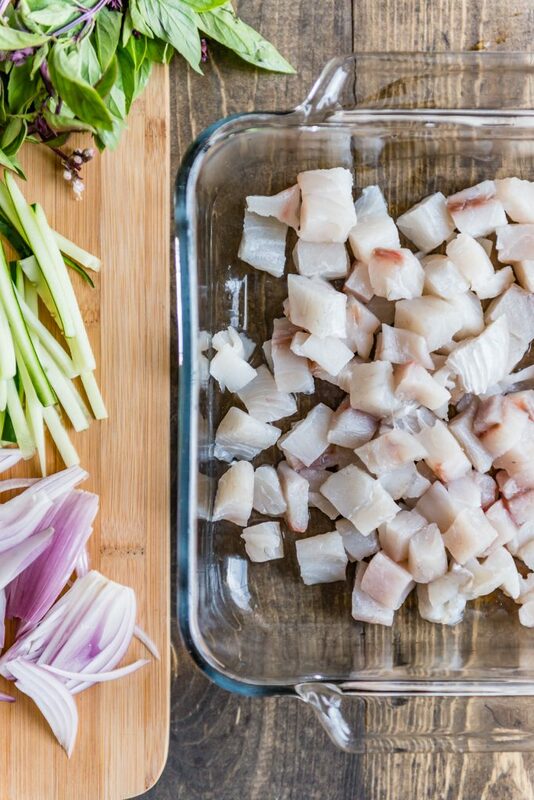 Place the cubed barramundi in a shallow baking dish. Pour the lime and/or lemon juice over the fish. Add the ginger and garlic. Stir well. Cover dish and refrigerate for 20-30 minutes, or until fish turns opaque. Drain off the citrus marinade and bring to the prep area. Meanwhile, prep the vegetables if they haven’t already been sliced. 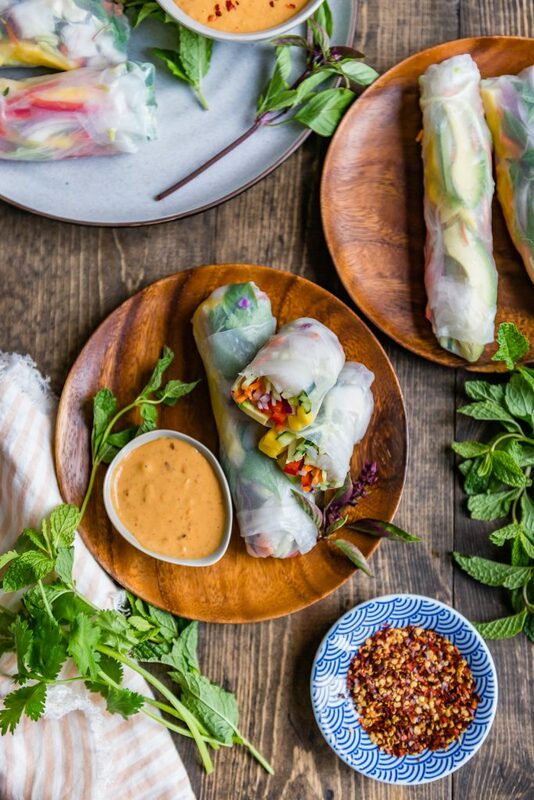 Arrange everything nearby because these rice rolls need to be assembled quickly. Working one at a time, dip a rice wrapper in warm water for about 5-10 seconds and place on a clean cutting board or plate. The wrapper won't be completely soft when you remove it from the water. It will take a few more seconds. 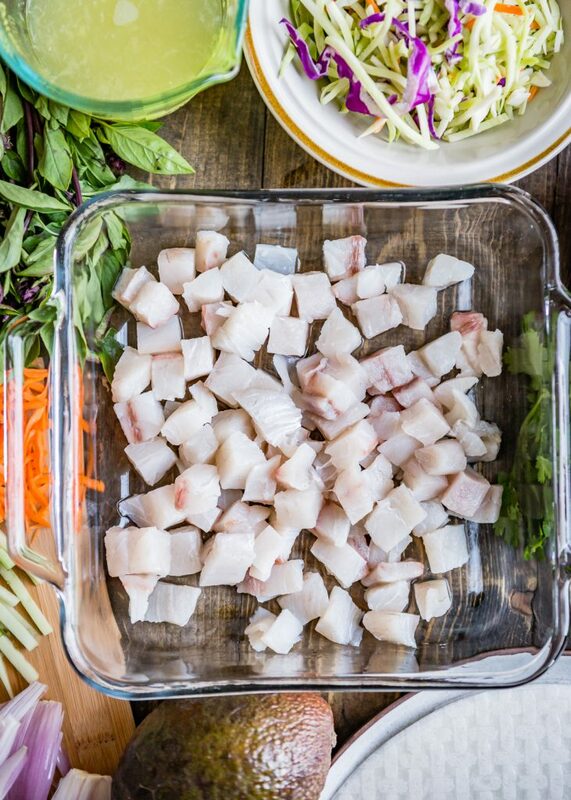 Add a handful of the cubed, marinated barramundi (a little more than one ounce) in a line in the center of the rice paper. Layer the vegetables, avocado, and mango on top of the fish. Top with a few each of the mint, basil, and cilantro leaves. Pull the side of the rice wrapper closest to you up over the filling, pulling it in to make it tighter. (This is the same way a burrito is rolled up.) Fold the sides in, again like a burrito, and roll the entire roll over. The rice wrapper will stick to itself. Repeat the entire process, one at a time, with the other wrappers to form 11-12 more rolls. 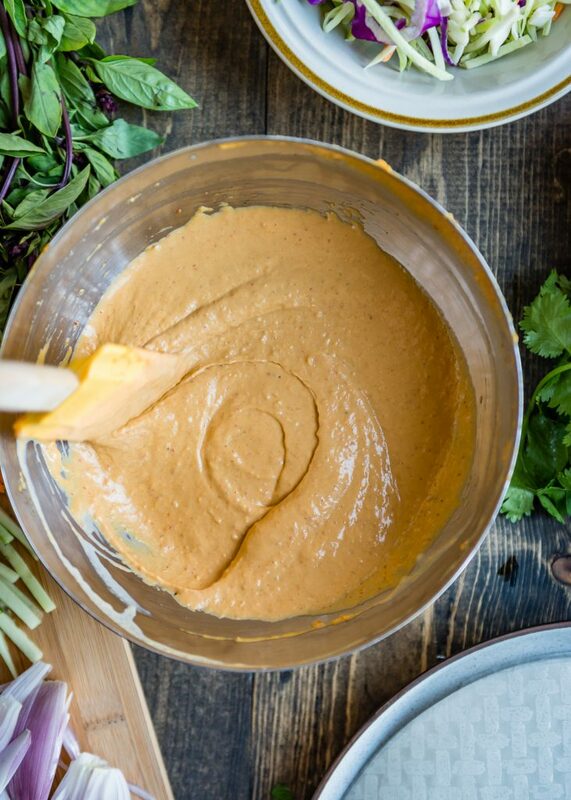 Serve immediately with the coconut peanut curry sauce, or refrigerate for up to 1 day wrapped well with plastic wrap. 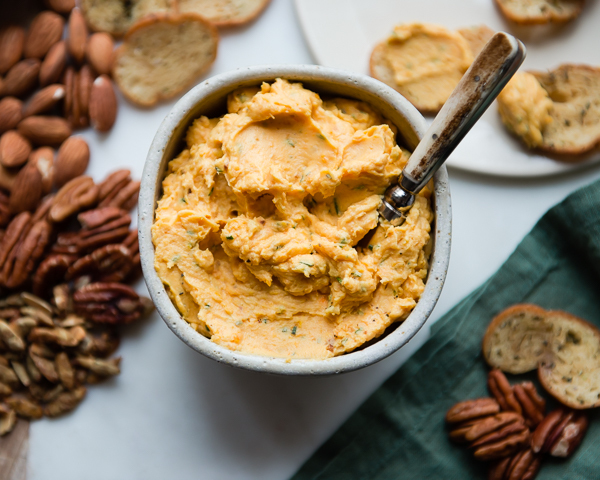 Whisk all of the ingredients together until smooth and creamy, or place everything in a small food processor or blender. Transfer to a bowl, cover, and refrigerate until ready to use. Makes about 1 cup. FTC Disclosure: This post was sponsored by Australis Barramundi. All opinions expressed are 100% my own. I have been compensated for my time.